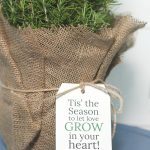 Showing our teachers love and appreciation is the least we can do after a long school year! 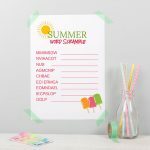 Check out these End of School Year Teacher Gift Ideas to help you find the best way to spoil your kids teachers! 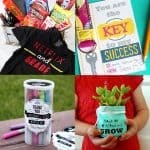 This fun Netflix and Grade Gift Basket is the perfect gift for the teachers in your life! 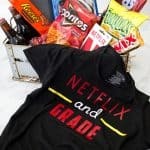 Learn how to create this fun Netflix and Grade T-Shirt! and fill it with all the items needed for a perfect Netflix Binge date! A simple cleaning checklist for kids that help make it easier than ever! 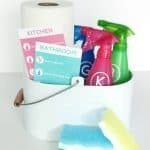 Just print the simple printable Kids Cleaning Checklist Printables and provide them with the appropriate cleaning supplies and off they can go! 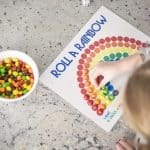 Roll a Rainbow is a super fun St. Patrick’s Day Kids Game that is fun for kids of all ages! Roll the dice and place the candy or item on its assigned color to create your rainbow! 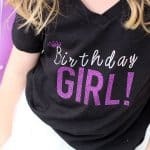 It could also be used year round as a way to practice color recognition!